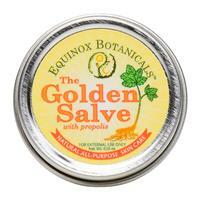 We believe that EQUINOX BOTANICALSâ„¢ is something special. You see, we believe that our products are only as good as the ingredients from which they are made. And the quality of our ingredients is intimately tied to the quality of the land that yields them. Our farm, located in Southeast Ohio, "Appalachia's herb basket", is home to some of the largest wild populations of goldenseal, blue and black cohosh, wild ginger, and ramps in the United States as well as vast stands of ginseng, bloodroot, and countless other native medicinal herbs. Virtually all of the herbs we use in our products are either grown organically, without the use of any pesticides or chemical fertilizers, or ethically wild crafted right here in Southeastern Ohio. So we can be sure that only the freshest and highest quality herbs, harvested at the peak of their medicinal potency, go into our products. We can also make sure of something that's even more important - that the land, which cares for us, is being consciously tended in turn. In our 35 years on the farm, we have come to understand that the land is our steward as much as we are stewards of the land. To that end, our goal is as much about sustainable farming and harvesting practices as it is about producing the highest quality products available and we will never stray from organic practices or over-gather our herbs. All of our herbal products are hand crafted in small batches on our farm. Pamper your growing body with this rich emolient, lightly scented with lavender and rose essential oils. Big Belly Balm will help prevent stretch marks naturally while keeping your skin supple, smooth, and radiant! Directions: Generously apply to belly, breasts, and hips throughout your pregnancy, and beyond! Our unique concentrated Elderberry Syrup is a blend of 100% Organic American Elderberry juice concentrate and extracts of Elder flower, Slippery Elm, Yarrow, Lemon Balm, Mint and Propolis. In 400 B.C., Hippocrates recorded prescribing a decoction of vinegar and honeycombs. Over the last two millennium physicians, folk-healers, and families have supplemented the age-old formula to boost the incredible flavor and medicinal powers of this ancient remedy. Today, on Equinox Farm we combine Raw Apple Cider Vinegar, Oranges, Lemons, Horseradish, Onions, Ginger, Rosehips, Turmeric, Garlic, and Habanero for a mouth-watering, zesty version of this classic that will warm your soul from the inside out. Maintaining an optimal iron level can be a challenge. Our bodies actually need very little, but most of the iron we consume is never assimilated, and too much iron can cause stomach aches, nausea, and constipation. Iron Cider is a blend of organic and wild-harvested herbs and 100% plant-based ingredients formulated to gently support the assimilation of iron, in a delicious sweet-tart combination of Apple Cider Vinegar, Honey, Elderberries, and Molasses. Lip Food was created out of an obsessive love for extraordinary lip balm. No effort or expense was spared in the making of this luxurious formula, so nourishing and moisturizing it's like a meal for your lips. The herbs in this tonic have traditionally been used for supporting memory, concentration, and brain function. MEMORY AND BRAIN TONIC is a combination of Ginkgo leaf, Gotu Cola herb, Rosemary Leafy, Sage Leaf, Peppermint leaf, and Lemon Balm leaf. Our Mullein Garlic Ear Oil formula provides a natural means for addressing ear pain and infection. These herbs have traditionally been used to strengthen the uterus and to lessen the pain of childbirth. PRENATAL UTERINE TONIC is a combination of extracts of black cohosh, blue cohosh, black haw root, and partridge berry. 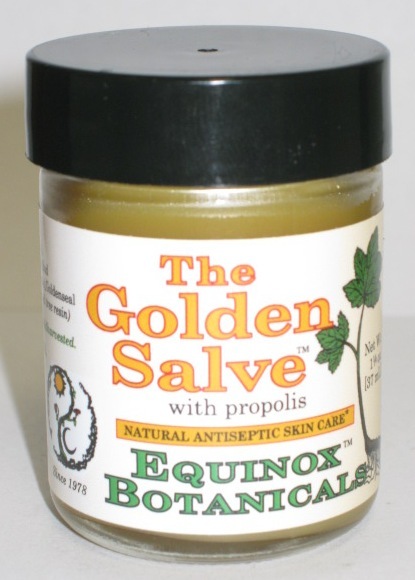 Doctors in Europe and Russia have utilzed propolis for treating all kinds of infections and illnesses. Supports restful sleep, relieves nervous tension. A synergistic blend of herbs formulated to protect and promote the well-being of skin.